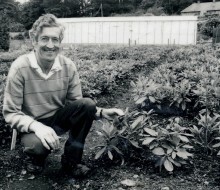 The Coxes and how Glendoick came to be a world centre of Rhododendrons. 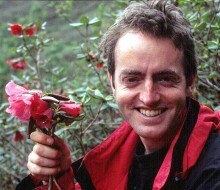 In 1919 Euan Cox went on an expedition to Burma with celebrated plant hunter Reginald Farrer in search of new and rare plants. When he returned to the UK, Euan began to transform the grounds of Glendoick House near Perth with Himalayan plants making a now famous woodland garden. 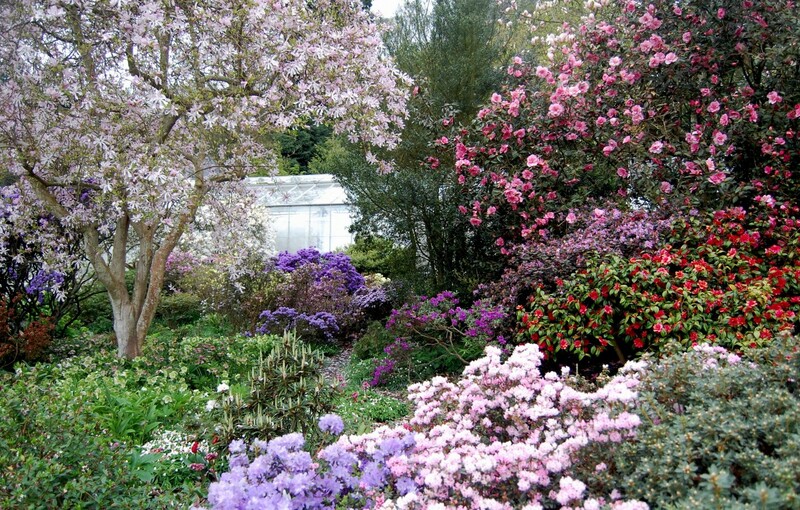 It was an inspired move in a south-facing, hillside setting and the gardens, created from the seeds of rhododendrons, conifers, perennials and bulbs that he had brought back with him, began to flourish. 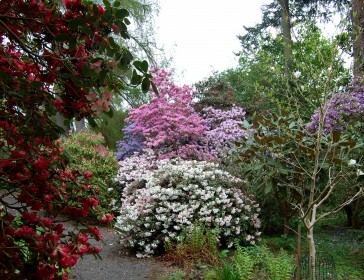 Today Glendoick Gardens, which straddle a fast-flowing burn, are home to an incredible range of rare species rhododendrons and from early spring until summer these, along with magnolias, camellias, swathes of Meconopsis, Primula, lillies and lots more. 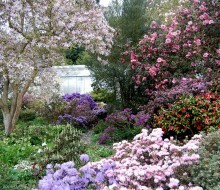 Alongside the five-acre gardens is Glendoick Nursery, established by Euan and his son Peter in 1953, which has a world wide reputation or hybridising Rhododendrons and Azaleas, as well as an award-winning garden centre. A new guidebook to the gardens, Glendoick 100 - Guide book and history of Glendoick written by Kenneth Cox will be released in spring 2019. 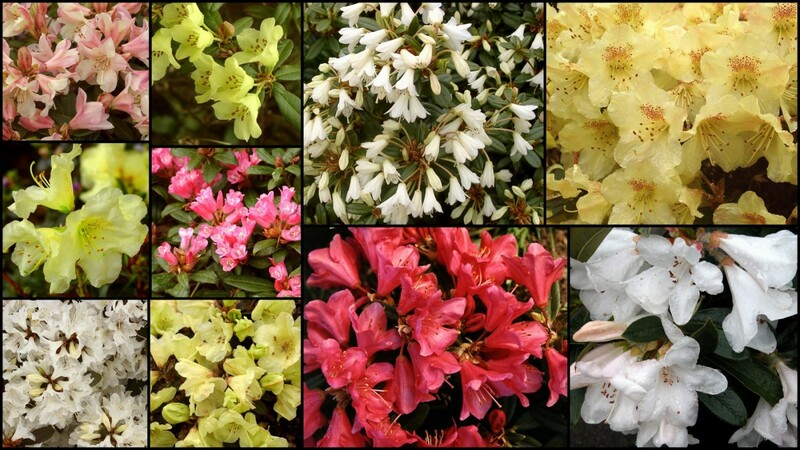 New Glendoick cultivars for 2019 will include: ‘Glendoick Chiffon’ a double white evergreen azalea; ‘Glendoick Candyfloss’ a bright pink double azalea and ‘Tricia Cox’ a dwarf rhododendron with pink flowers named after Peter Cox’ wife and the founder of the successful Glendoick Garden Centre. 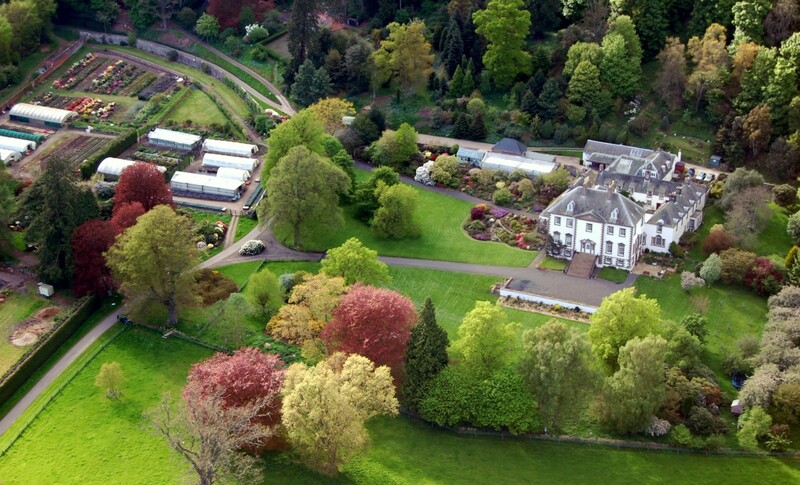 A Glendoick 100 years display garden will be created at Gardening Scotland 2019 (Friday, 31 May - Sunday, 2 June - The Royal Highland Centre Edinburgh). 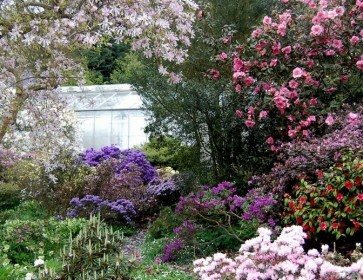 The garden will feature many of the plants introduced by the Cox family and new hybrid cultivars bred at Glendoick. 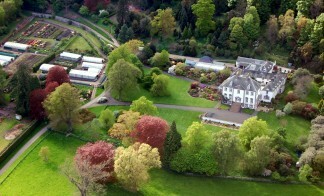 Glendoick 100 Years Lecture by Kenneth Cox, to celebrate the garden, its plants, wild collections, hybridising and woodland gardening. See Glendoick Website for details. 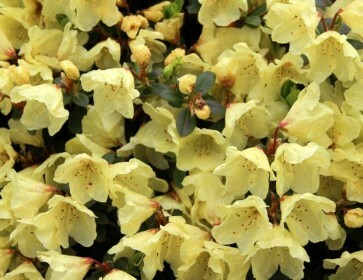 More on Glendoick's history, plant hunting and hybridising rhododendrons can be found by clicking on the links above. Rhododendron mallotum, R. santapaui, R. subansiriense, R. coxianum, R. walongense (aff), R. dendrocharis, R. cephalanthum var. 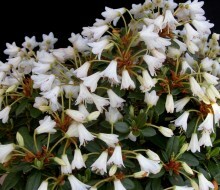 playphyllum, R. ochraceum,, R. platypodum,, R. denudatum, , R. coeloneuron, R. sinofalconeri Yunnan form, R. huanum , R. miniatum, , R. luciferum,, R. bulu, R. laudandum, R. monanthum,, R. trilectorum, , R. kasoense , R. cephalanthum Nmaiense group, R. dignabile, R. valentinianum var. oblongilobatum, R. phaeochrysum (yellow form), R. changii, R. pseudocilipes, R. boothii (lost to cultivation in Europe), R. hodgsonii Aff Rudong La, Bhutan, R. populare, and R. titapuriense. BRAMBLING (‘Razorbill' x racemosum) 90cm. H4. 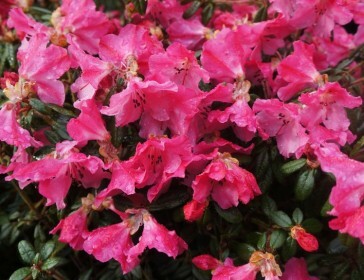 New Glendoick hybrid with brightest pink flowers in multiple clusters in April. Fine dark foliage. Very promising. EGRET 60cm. H4. 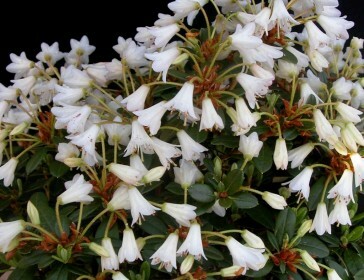 Masses of tiny white bells in May. Compact, with shiny, deep green leaves. One of our most popular introductions, quite unlike any other hybrid. Recommended. GLENDOICK FLAMINGO 20cm H4-5 Brightest pink. very compact. PIPIT 20cm. H3-4. Flat-faced pink flowers with darker markings in late May. A natural hybrid of R. lowndesii x R. lepidotum from Nepal. Needs extra care. RAZORBILL 60cm. H4. 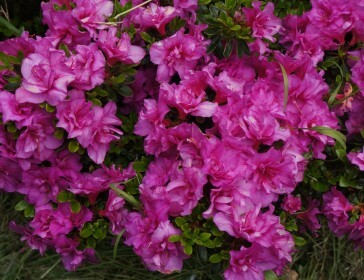 A remarkable introduction with brightest pink long-lasting flowers late April-May, in tight upright trusses. Attractive crinkled leaves on a sturdy plant.